Book signing, live recording sessions and a few visiting stars mark what is hopefully a truly spring weekend in the Twin Cities! • Connie Evingson at the Artists Quarter (4/29-30). It was long overdue that Connie would front her own band at the AQ, and from the first set she made it clear she was as comfortable in St Paul as in Minneapolis, Seattle or Stockholm. We heard samplings of her upcoming CD and Jungle Theater show, Summer Samba as well as standards and a little Charlie Parker. • Soul Café at the Hennepin Avenue United Methodist Church (5/1). Now expanded to a sextet, this ensemble performs infrequently these days, but they make every note and very verse worthwhile when they do. Songs and poems of “Loving and Listening” included “You Must Believe in Spring”—which apparently served as a good omen for the week. 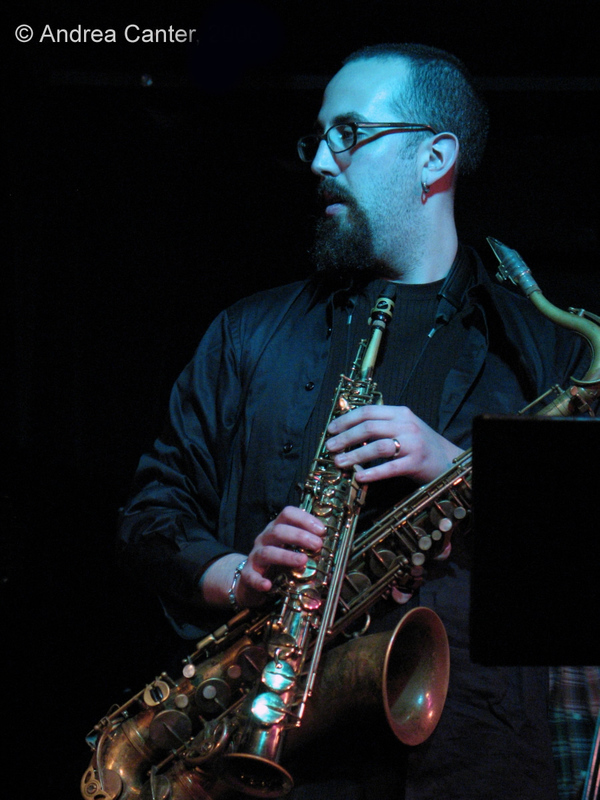 And why don’t we hear more from alto saxophonist Brad Holden? • U of M Jazz Ensembles I & II at Ted Mann (5/2). The U of M jazz program might not be one of the “big” programs on the college map, but it’s clear from concerts like this one that director Dean Sorenson and students have the chops. Most enjoyable—an opening two-piano romp through “Jumpin’ at the Woodside.” Joe Strachan and Quentin Tschofen were all over the keyboards. • Dakota Combo/Vicky Mountain with Chris Lomheim at the Artists Quarter (5/5). Some of the youngest to play at the AQ, the high schoolers of the Dakota Combo also played some of the most complext music as they sailed through a set of mostly Mingus, followed by veteran songstress Vicky Mountain and the swinging Chris Lomheim Trio. A great and diverse doubleheader. 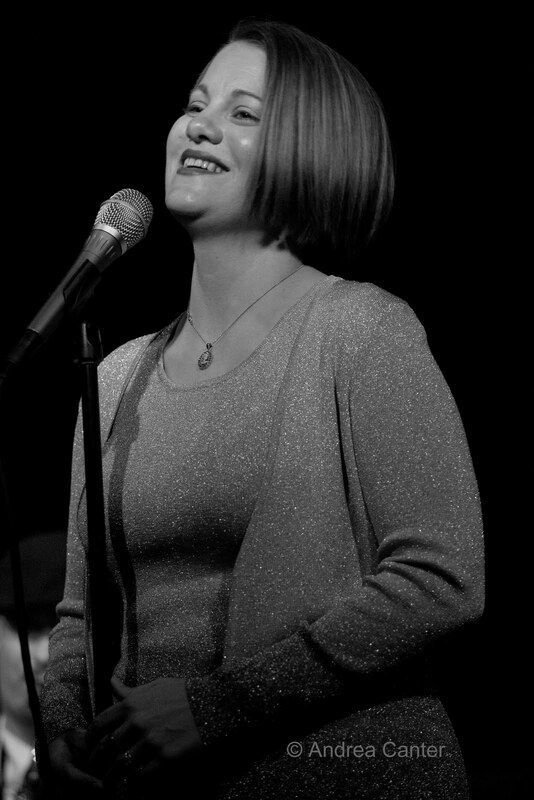 If you are out in the west burbs, consider a Friday afternoon or evening (5/6) with vocalist Rhonda Laurie and her “Happy Days Are Here Again” project, turning up now at the Delano Public Library (1 pm). Robert Bell, Gary Schulte and Jeff Brueske help guarantee plenty of swing. With Rick Carlson in place of Bell, the show moves to the Paynesville Library for Friday night (5/6) and to Little Falls on Saturday (5/7). If that’s not enough swing for one day, check out Nichola Miller at Hell’s Kitchen and Maud Hixson with French 75 at the Dakota. Really, there’s no reason you can’t do it all—just follow a straight line from Rhonda in Delano to Nicollet Mall; Nichola starts early enough for appetizers, then head down the street for Maud, French 75 and the entrée. Fun at the Artists Quarter this weekend (5/6-7) as the Atlantis Quartet (Zacc Harris, Brandon Wozniak, Chris Bates and Pete Hennig) records live. The guys were just named Jazz Band of the Year by City Pages and recently returned from a tour that landed them in New York. They have some reworkings of old favorites and new compositions. On Saturday (5/7), there’s a pre-gig (8pm) celebration of the new Minnesota Historical Society’s publication, Joined at the Hip: A History of Jazz in the Twin Cities. Author Jay Goetting and preface writer/honored broadcaster Leigh Kamman will be on hand to sign books and talk about the musicians who shaped our jazz scene. That means on Saturday night, you can hear about history and then hear history in the making! Up for a drive or based in southeast Minnesota? On Saturday night, one of the nation’s best big bands, the Vanguard Jazz Orchestra, performs at the Mayo Center in Rochester. I heard this band live for the first time this winter at their weekly Village Vanguard gig, and they were rattling the basement walls. A few generations removed from the original Thad Jones/Mel Lewis Orchestra, the VJO has continued the tradition of hiring only the best at every instrument. And remember Mother’s Day! There’s no better way to celebrate with mom than at the Dakota’s special brunch (5/8) with mother/daughter team Jeanne Arland Peterson and Patty Peterson. Musique Mystique continues at the Loring Pasta Bar, with Lucia Newell and Dean Magraw in the “red room” space on the usual Monday night (5/9), a series highlighting the best voice and guitar or keyboard duos in town. Twin Cities native (and one of the musicians profiled in Joined at the Hip) Bobby Lyle returns home for two nights at the Dakota (5/10-11) with his organ trio. Master of mainstream and smooth jazz idioms, Bobby has built his career not only as an entertaining performer but also as a producer, music director and arranger. He can promise something for everyone and a rockin’ good time. 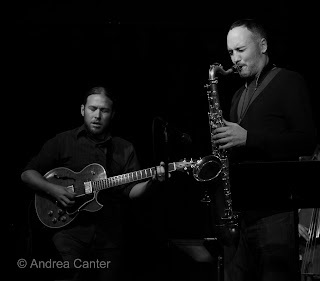 Jazz continues at Café Maude on Wednesday (5/11), this week with Zacc Harris, Chris Bates, Bryan Nichols and JT Bates. Culminating a year of rehearsal, workshops, performances and a weekend in New York, the Dakota Combo performs the last Jazz Thursdays concert at MacPhail’s Antonello Hall on Thursday night (5/12). It’s not the last chance to see this young bunch of jazzy upstarts, as they will be on festival stages for the Twin Cities Jazz Festival in June, Dakota Fest in July and Burnsville’s Art and All That Jazz in August. But it’s their last formal concert with a terrific sound system and good seating! Under the direction of Adam Linz, their repertoire this year has been largely Mingus, but expect some other works including originals from the band. And it’s free! Also Thursday, with two sets in case you want to hit MacPhail earlier, the Artists Quarter hosts drummer/Phil Woods cohort Bill Goodwin and New York saxophonist Adam Niewood, a former William Paterson classmate of local bassist Adam Linz. Adam will get there for the last set, with Gordy Johnnson on bass for the opening set and Bryan Nichols on piano. For three nights starting Thursday (5/12-14), there’s a special treat for fans of experimental music, the accordion and the Zeitgeist ensemble at Studio Z. The free-thinking quartet joins forces with Guy Kluvesek for an evening of “twisted tangos, barnstorming boogies and other irreverent music-making.” Kluvesek, an original member of Dave Douglas’s Charms of the Night Sky, has led Ain’t Nothing But a Polka Band and The Accordion Tribe. • Friday, May 6: Joann Funk and Jeff Brueske at the Lobby Bar (St Paul Hotel); Benny Weinbeck Trio at D’Amico Kitchen; Community Pool Deep End Music Series with Nathan Hanson, Brian Roessler and more at the Black Dog.